After three days of hard work and little sleep the excitement from HackGSU has come to an end. 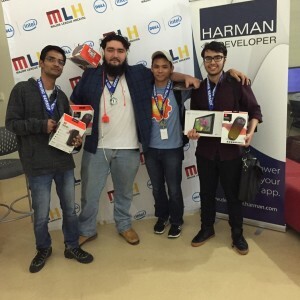 As students teamed up to design programs for apps, video games and web pages, winners of Georgia State’s 2016 Hackathon took home great prizes and unforgettable memories. 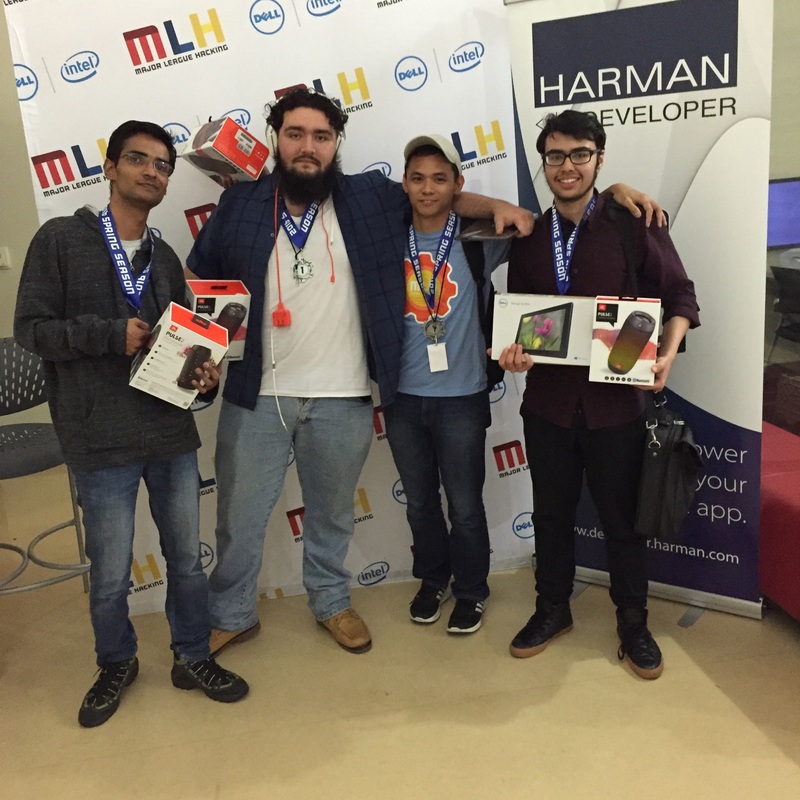 Winners of 2016 HackGSU (left to right) Ankush Chauhan, Darran Hall, Paul Trimor, Haroon Qahtan. On Sunday, March 27, the closing ceremonies for HackGSU took place. More than 280 people from universities around the country signed up for the coding marathon. This year 34 teams participated in the programing competition. Hackathon is a hands-on learning event. Students benefit from friendly competition, while utilizing exclusive access to new technology. The great thing about coding, as it relates to this event is that not everyone needs experience. Event organizer, Gene Chorba has been to many coding marathons, and his experience at Georgia State is just beginning. Chorba hopes is to create a stronger hacker community Georgia State by expanding the event to cater to a larger group. With drive and motivation to learn, professionals and veterans of Hackathon assist the teams while they created apps, web domains and other technical projects. “It’s infectious, it’s all about meeting new friends, it’s building the community and building the atmosphere,” Chorba said. The main purpose of HackGSU is to build a community by sharing talent, and helping new hackers get familiar with the language of code. This year 34 teams participated in the programing competition. After long hours, and plenty of caffeine, the final products came to life. The best part is that winners get a chance to win awesome prizes, such as internships, tech gadgets and awards. “Students that go to Hackathons also are more likely to get internships. They get to meet recruiters at the event, as well as build their portfolio of projects,” Chorba said. Alumni and participants from previous Hackathons judged the teams using a 10 point scale. The participants were ranked based on completeness, design, innovation and difficulty level. There were numerous nomination categories as the final results ended in multiple people taking home prices. Contestants had the opportunity to win nominations and prizes from sponsors and the HackGSU organization. A few of the winning Hackathon nominations that were given to the teams included. The first place award and 2016 HackGSU winner was Baton. A fitness app, designed to monitor the heart rate of the user. Baton goes beyond traditional fitness apps utilizing the iphone camera to track the heart rate. Users place their finger over the camera lens while the led light is on, special sensors within the camera are coded to measure heart rate. The app has an 85 percent accuracy, and it also has the ability to track mile walked or biked, footsteps and calories burned. The developing team hopes to continue their research and coding. The ultimate goal is to have Baton available within the app store.